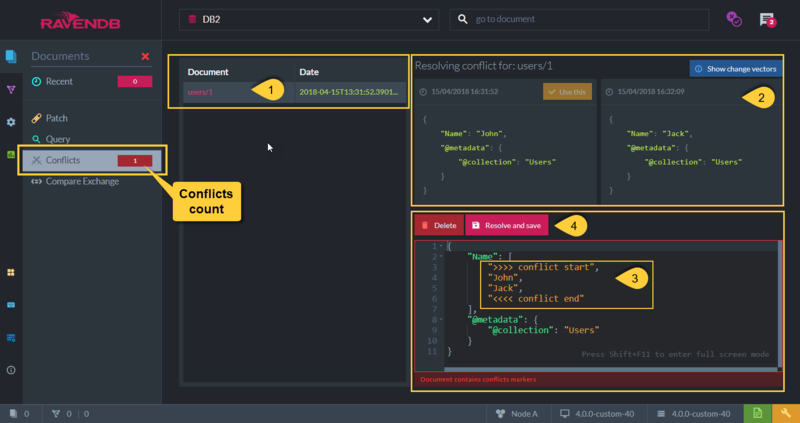 Manually resolve a conflict between two documents in this view. By default, conflicts are resolved using the latest document version when no script is defined. Conflicts will be created only if this option is unchecked in Conflict Resolution.